1. You must have a valid Seller Central account to use Shiplark for FedEx with Amazon. 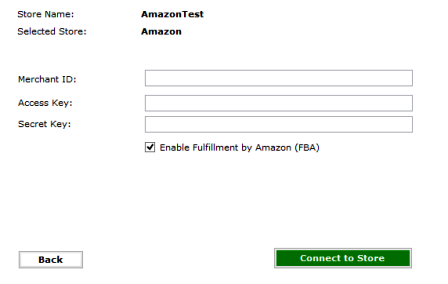 Give your store a name to be used within Shiplark for FedEx and select Amazon as the store type from the dropdown list. 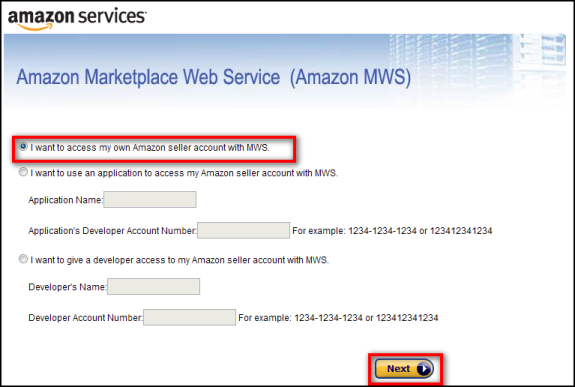 Fill in your Amazon MWS merchant ID, Access Key and Secret Key. To learn how to obtain these credentials, scroll below. Input the credentials and click 'connect to store' to proceed. 5. Copy the Merchant ID, Marketplace ID, AWS Access Key ID and the secret key. 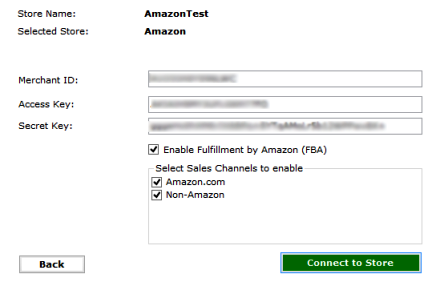 When Shiplark for FedEx is able to successfully connect to your Amazon Store, it would allow you to select the sales channels to enable and then would begin downloading the data and settings from your store. The store address should be the "from" address that you are going to be shipping from. A company logo can be added that will be seen on the packing slip.Click Next to continue. You are now ready to process orders, so you should click "Let's Go" to proceed to the dashboard and it will download your 50 recent orders. Detailed Settings can be configured after you proceed to the dashboard and your orders have been downloaded. This can be done by File >> Configure Stores.